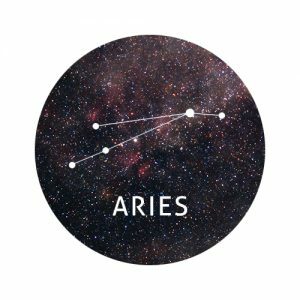 Dark forces seem to be sabotaging your success this month, Aries. Every time you triumph, something puts a dampener on your celebration. Your excitement over a new relationship may be interrupted by negativity from others. Your joy over moving house could be hampered by practical problems such as a leaky pipe or poor internet connection. It’s a good job you’re a tough cookie with a positive outlook on life, Aries. You’re taking it all in your stride. When you experience days that don’t go to plan, keep an eye out for life’s little joys. It’s the small things that matter. 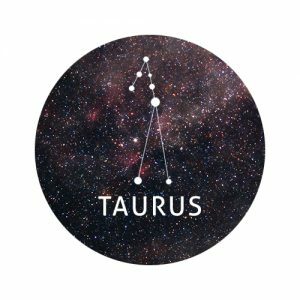 It’s time to step up to the plate this week, Taurus. It seems as though everyone around you is struggling to keep their cool. They’re running around like headless chickens every time a problem arises! Thankfully, you’re a cool, calm and collected character whose confidence and ability to lead makes you an eligible candidate for restoring a sense of tranquility to the mix. By staying level headed and helping others, you’re likely to see your popularity sky rocket. A bottle of wine from a colleague or gift from a friend could be on the horizon if you really go above and beyond. 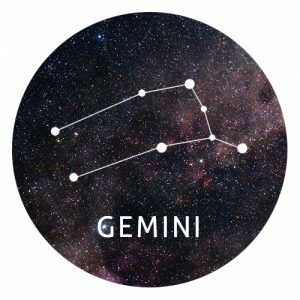 A big change is on the cards this week, Gemini. Whether you’re about to start a new job or move in with your significant other, could one of life’s great milestones be on the horizon? You’re feeling really excited and ready for an adventure but don’t let that distract you from your responsibilities. You’re a daydreamer through and through but this can often have an impact on your productivity and make it hard for you to focus. Eliminate distractions and focus on one thing at a time. This could be a good time to reassess your schedule and carefully plan your time. Keep a diary that outlines where your time is spent. How can you be more productive? Are you guilty of wasting time on things that aren’t making you happy? Look closely at your schedule and optimise your life. Are you the type of person who shies away from commitment? It’s not that you don’t want to find love. You certainly don’t want to break any hearts either. You’re just reluctant to commit to something that may not turn out to be the real thing. Exciting new developments over the next few weeks could indicate change is yet to come. You’re likely to experience a fresh outlook and moment of clarity. Could it be time for you to settle down at last? Those already in a relationship are contemplating the next step. Is it time to move in together? Have children? Marry? Take that trip of a lifetime that you keep postponing? Throw caution to the wind and just go with it. Who knows what adventures could lie ahead. You’re having an identity crisis at the moment, Leo. On the one hand you want to be taken seriously in the business world but on the other hand you want to be seen as a happy-go-lucky joker. You’re trying too hard though – cracking jokes when they’re not appropriate and being too serious when it’s time to lighten up. If you’re not being your true authentic self, people will see straight through you. Just be yourself and stop trying so hard, Leo! You’ll do just fine. Uh oh. Are you being a little bit judgemental, Virgo? Whether a relative is breaking tradition or a friend is starting a new relationship with someone you’ve never been a fan of, try to avoid judging others for their actions and choices. Variety is the spice of life and if we all followed the same path, how boring would life be? Instead of concerning yourself with the lives of others, focus on your own. You might be feeling a little confused and indecisive when it comes to taking matters into your own hands but it’s time to get off the fence and make a move. You may be feeling super spiritual at the moment, Libra. You might have had your doubts in the past but you’re starting to open up to the possibility of outside forces. Whether you decide to have a Tarot reading or simply read up about an area of spirituality you’re unfamiliar with, we’re excited for your new journey. By taking part in spiritual activities and keeping an open mind you may gain a sense of enlightenment and a new perspective that is sure to reap numerous rewards on your life. If we could sum this week up in four words, it would be: “Don’t worry. Be happy.” You’re worrying about things that might never even happen and this attitude is having a serious impact on your positivity levels. Worrying does not take away tomorrow’s troubles, it takes away today’s peace. Try to stay present and enjoy the now. Meditate, exercise, and immerse yourself in the natural world. If you spend a lot of time using the internet and gadgets, the time is now to break away from them. Whenever you get home, switch off your devices and immerse yourself in a good book or fun activity that doesn’t require a screen. 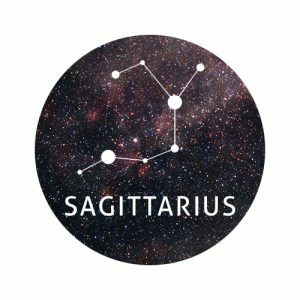 Don’t make a mountain out of a molehill this week, Sagittarius. Sensible and wise by nature, it’s not like you to create drama or controversy. This week though, you may find yourself acting completely out of character. Avoid pointing the figure or accusing people of dishonesty. Instead, look inwardly and question your own emotions. Why are you feeling this way? You’re usually pretty confident and sure of yourself but as ashamed as you might be to admit it, insecurity has certainly reared its ugly head. This week is all about creation and innovation. Whether you’re using your artistic talents to make something beautiful or blazing trails at work, you’re on a roll. In other news, Capricorns in love may find themselves getting a little too comfortable. Even though you love each other, sometimes you feel as though romance is dead. 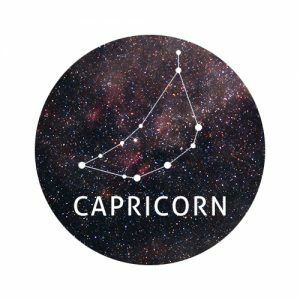 You can easily reignite that flame, Capricorn! Scrub yourselves up and go out for a romantic meal. If you’ve got some cash to splash, treat yourselves to a weekend away at a fancy hotel or spa. Break out of the ordinary routine and you’ll see sparks fly. Change and loss could be on the cards over the coming weeks, Aquarius. You usually welcome change with open arms but you may soon receive news you’re not happy with. Perhaps your best friend at work has announced they’re leaving, a sibling is moving abroad, or your adult child is flying the nest. Don’t be ashamed of feeling scared, anxious or upset. When people we love embark on new adventures we can feel a wealth of emotions. Sometimes these emotions are good, other times they’re bad. You can be happy for those you care about while still feeling angry or jealous. 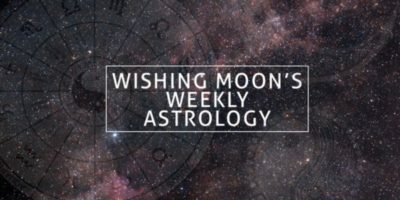 For some Aquarians, this feeling of loss may be a little more subtle this week. Those that spend a lot of time on social media may suffer from a bad case of ‘FOMO’ (Fear Of Missing Out). Although it may seem like everyone’s having fun without you, remember that the things we see online are rarely an accurate reflection of reality. Don’t let self-imposed obstacles stand in your way, Pisces. Whether you’re telling yourself you’re “too old”, “not clever enough” or “not attractive enough” it’s time to kick these put-downs to the curb. You wouldn’t speak to anyone else this way so why say these nasty words to yourself? You deserve great things and we doubt there’s much truth to your negative thoughts, Pisces. Rather than jumping in at the deep end to counteract your self-doubt, take time to plan ahead. Weigh up your options and decide which route to take. Whether you want to take the next step in your career, learn a new skill or tell the person you like how you really feel, we have faith in you!